Behind Amish romance novels, tourist spots and “reality” TV shows stand real people, with longings and loves just like the rest of us. Every Amish and Mennonite woman has a story. What would it be like to be welcomed into their homes and share those stories over a cup of coffee? 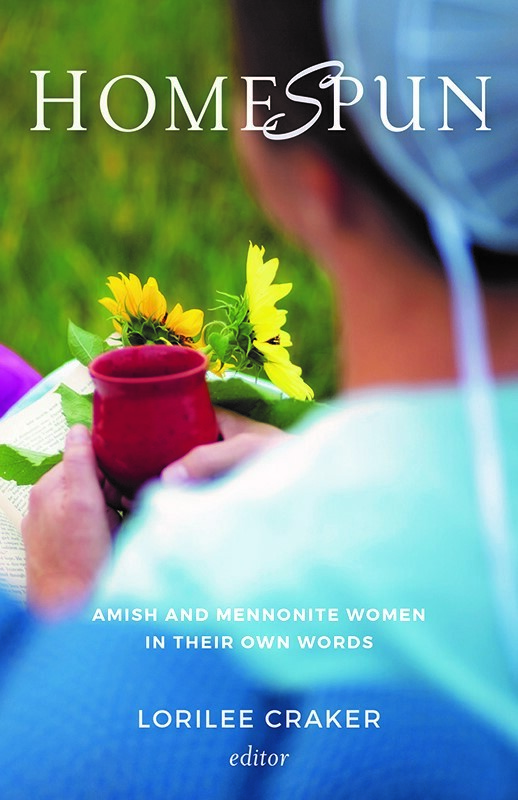 In the pages of Homespun: Amish and Mennonite Women in Their Own Words (Herald Press), Amish and Plain Mennonite women swap stories and spin yarns while the reader sits in. 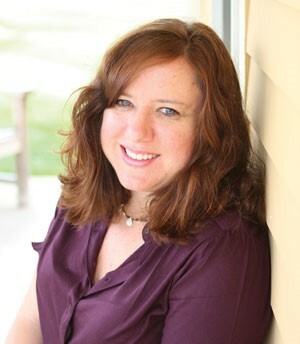 The book’s editor, Lorilee Craker, bestselling author of Money Secrets of the Amish, collected these personal writings and authentic perspectives on life, hospitality, home, grief, joy, and walks with God from Anabaptist women’s periodicals. 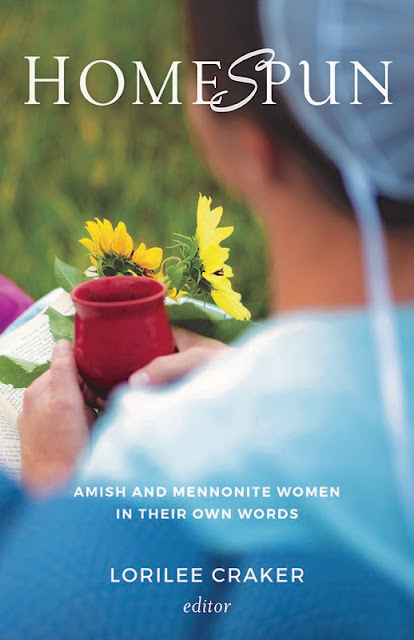 Among the stories shared are essays penned by well-loved Amish and Mennonite writers such as Sherry Gore, Linda Byler, Lovina Eicher, Dorcas Smucker, and Sheila Petre. My childhood was deeply rooted in the Mennonite culture. Growing up, I witnessed my two grandmothers with their hair in a bun and always wearing dresses or skirts. I thought this was normal! None of my grandparents spoke English—all four of them spoke German or Low German. At family gatherings we would eat Mennonite food such as borscht, varaneki (pierogies), platz (fruit strudel), and pluma moos (cold plum soup). We also ate those things in my home, so again, this was all very normal. We were also bound by similar values of faith and peace, and by stories of where we had come from. Q: Your family’s roots in Mennonite communities run deep, but your family history is an example of the many different stories people have. Can you tell about both your mother and father’s background? My mother’s family came over from Ukraine in the 1870’s. They were pioneers who homesteaded on the prairies, but they never lost their culture or assimilated too much into the broader community. The ties of language, food, and culture that bind them to their pioneer great-great-grandparents are startlingly durable. My dad’s family had a completely different story. They came in the third wave of immigration from Ukraine, after World War II. They fled Stalin as refugees and experienced his holocaust. My dad lost his twin sister to starvation, so those stories were imprinted painfully on his heart. Q: Growing up in Manitoba where there was a large Mennonite population, you didn’t realize most people didn’t live the same way you did. What was the biggest adjustment for you when you moved to Chicago for college? The biggest adjustment was that no one seemed to know what a Mennonite was, or they assumed that I should be wearing a bonnet and driving a buggy like the Amish! Everyone seemed to think that being Amish or Old Order Mennonite and being my kind of Mennonite were one and the same. This assumption led to lots of explanations on my part about the difference between my modern Mennonite upbringing (“like Baptist, with a German accent and special foods”) and those other related subcultures. People were surprised that I wore makeup and nail polish, etc. In Winnipeg, people knew that Mennonite women were modern because they knew so many of them. That wasn’t the case in Chicago. As I visited Amish homes and barns in Michigan and Pennsylvania for my 2011 book, I recognized bits of their dialect, Deitsch (Pennsylvania German), from my spotty grasp of Low German. Their baby naming customs were also similar. The Amish women’s hair buns and long skirts, not to mention the tantalizing aromas of fruit strudels (Platz, to me) baking in their ovens, reminded me of my beloved grandma Loewen. I recalled my little dynamo of an Oma (grandmother) tsk-tsk-ing me about the length of my skirt. She always had a twinkle in her eye as she chided me, but I still made sure to go for full coverage as I interviewed the Amish. The peace and gentleness I felt when visiting the Amish reminded me so much of visiting my Grandma’s farm. I felt oddly at home among my spiritual and cultural cousins. It was amazing to me that over 300 years had passed since our break up and we still had things in common! I came to realize were more closely tied to me and my upbringing than I had ever dreamed. While there is a great variety of Mennonite culture, practices and lifestyles, from very old-fashioned to very modern and even progressive, the Amish are much more the same across their communities. They are extremely dedicated to living much like they did in 1693, when they split off from the Mennonites over the matter of buttons. Mennonites were okay with buttons, but tailor Jacob Amman’s followers, the Amish, thought they were worldly. To this day Amish fasten their clothes without buttons. The similarities lie in spiritual roots of being peace-loving, set apart people with a radical faith. The most modern Mennonite in downtown Winnipeg might name their children Isaiah, Ezra, and Naomi, and the most conservative Amish will have children with those same Bible names. They have both kept some remnant of their dialect—Amish speak Pennsylvania Dutch which is really Deutsch—German. I was startled to recognize bits of the Amish dialect as being similar to my own Platt Deutsch—low German. Foods are similar sometimes, too. And food customs, like Faspa, which is a cold meal served on Sunday late afternoon so the ladies wouldn’t have to cook on Sunday. Welcome. A deep sense of hospitality is fundamental to these women. Yet it’s not hospitality in the HGTV, your-house-needs-to-be-perfect kind of way. As one of the writers shares, it is easy to overthink hosting, but Jesus made it look quite simple, and his hosting style can be described in one word: love. Abide. Hospitality is sacred and spiritual, but it doesn’t mean these writers don’t want to have an appealing home space in which to dwell. They want to abide in an abode, if you will, that nurtures them and feeds their spirit. The writers here expound beautifully on what home means to them. light the possibility of the miraculous happening all around us, in big ways and small.